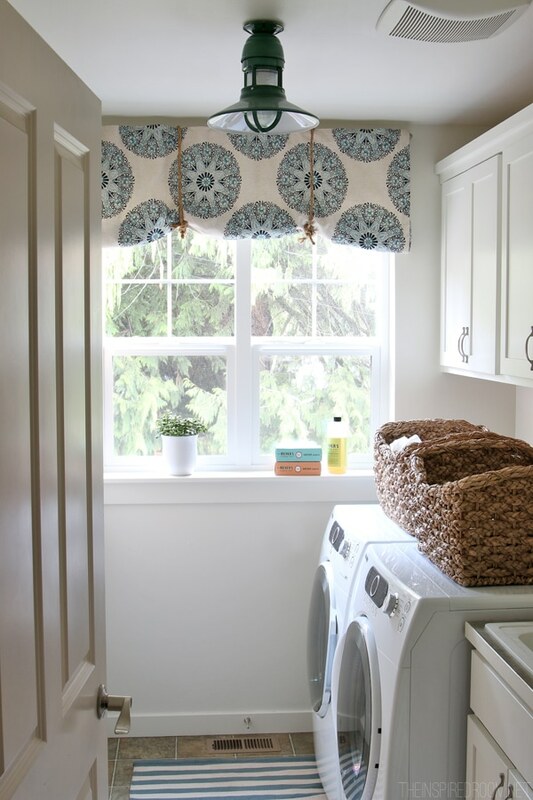 When I last shared an update of my laundry room progress, it was summer! Wha?! How time flies, right? 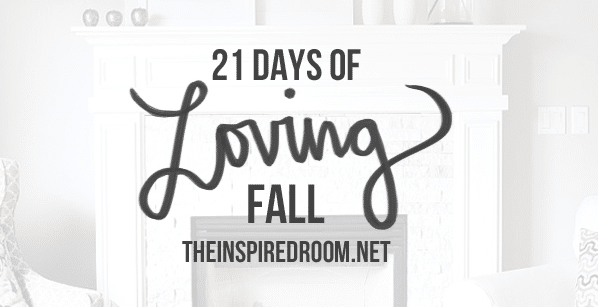 But one of the things I love about fall is the opportunity to turn my attention INSIDE to simplifying, decorating and nesting around the house. 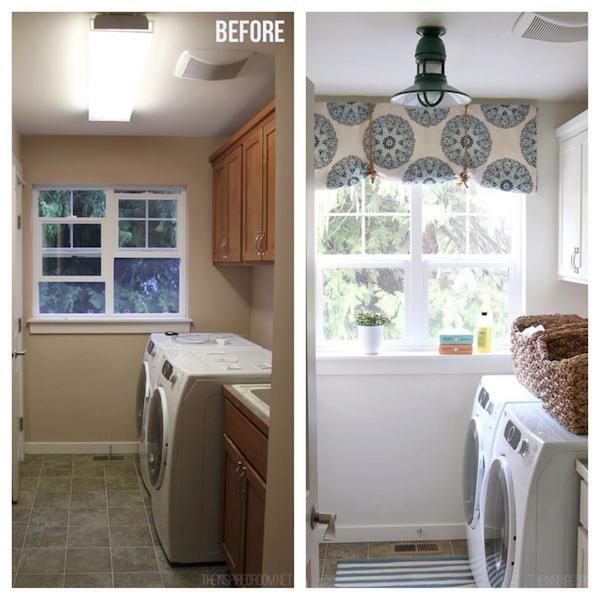 This laundry room makeover isn’t complicated or extensive at all, it’s just slow (but that’s on purpose!). For over five years I’ve wanted to freshen up and organize this room, but it just wasn’t our biggest priority so it stayed at the bottom of the “to do” list. Sadness. Considering it is a room we use every single day, it’s high time it got a little love! Earlier this year I made a commitment to myself in my home goals that I was going to find ways to organize and beautify many areas of our home. While I barely scratched the surface of all I had in mind to do around my house this year, I have made progress in many areas and I’m happy with that. When our lives become busier or more complicated, in seasons perhaps where our family is growing, we are moving houses, or our jobs or careers are on new paths, we have to adjust our schedule or expectations in other areas to keep a sense of balance. For me, adding in the book contracts this spring complicated my schedule (in good ways!). So in order to still feel sane while adding in so much to my schedule, there were many other things I had to adjust and simplify. I decided that since this laundry room was the last of two remaining swine colored rooms, it would feel like a real victory and treat to freshen this space up. While I wanted to do the master bathroom and closet as well, those spaces were set aside for next year since they will likely involve a little more expense and complicated steps I just didn’t have time for this year. I love working on fixing up this laundry room. Besides the fact that it is a tiny little room (not as small as some of the closet laundry spaces I’ve had, but for my first ever laundry ROOM, it’s compact! ), I love that it really didn’t need a complicated or expensive makeover. Yes, I had dreams of subway tiled walls and a fun new sink, but the practical side of me won out and I opted for simplicity! I’m so glad I did. When I last updated you we had painted our walls and cabinets white to simplify the room’s color scheme (in a small space it’s nice to have less jarring moments as you look around the room), and more recently we said good-bye to the depressingly glaring fluorescent light and installed our new lantern (our fun green Barnlight Electric light, more details here!) 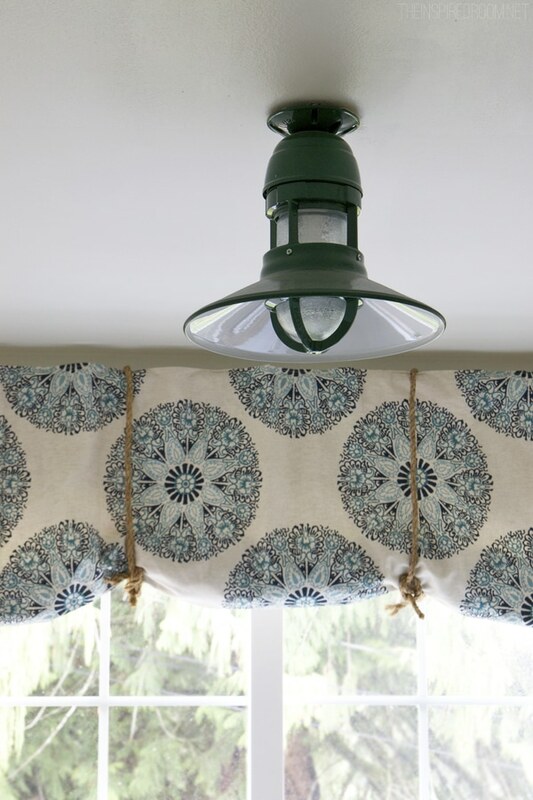 and we made a sweet roll up shade to bring a fun lively pattern and a little softness to the room. Click here for more details on how we made the shade! Other than that, we haven’t done a thing! Well, actually we cleaned our sink, which was a major accomplishment if you saw what it looked like before, I think you’ll be impressed at our cleaning skills. I’ll share more about that too in a future post. Besides freshening up the room’s decor, I also wanted to start simplifying the function of this space. While we could have added a counter over the washer and dryer, it really wasn’t necessary. The space is so tight that we really don’t fold anything in the room. We carry our laundry out of the laundry room, hang our clothes and fold the laundry elsewhere. Since we don’t have our washer and dryer on pedestals, we had ample room on top for some sort of organization so we opted for two baskets. One for delicate/special care items and one for cleaning rags. Not only do they give the room a little texture, they are functional as well. I absolutely love the simplicity of this room and how it is coming together. While this isn’t an overnight makeover, I get excited about each new step towards a more clean, tidy, streamlined, simple and beautiful space. I’ll be sharing more bits and pieces of our laundry room in December and then more of the organization in this space after the first of the year. Love it – so clean and crisp with those white walls. Looking forward to the post about the window shade. It looks great! Love the fabric – hope you will name the pattern/maker. I’ve been looking for a fabric like that. YAY! Yes, I’ll give more details on the shade tomorrow. I’m glad you like it! Thanks so much! Looks so fresh and pretty! Can you share where you found those baskets from? The whole room came together nicely, but would love the instructions for that window treatment– sooooooo cute! I love how clean and fresh it looks! I went the opposite direction with my walls – bright green. I wanted a bright cheerful color to greet me when I open the laundry room doors. I love the fabric that you selected for your window treatment! I didn’t see a description or source – did I miss it? Would love to know the pattern and manufacturer. Thanks! I’ll do a post sharing more details on them! I made them and I can share how easy it was :-)! Looking forward to hearing about how you cleaned your fiberglass sink. I really enjoy your blog. Gorgeous! I love the light! Please also share details on the window treatments! That would look perfect in our laundry room! Love the curtain. looks easy enough for me to make. I’m going to give it a try. Thanks, I’ll share a few details on how I made it by tomorrow! I love that curtain tied with rope. That looks like a vent fan on the ceiling. I’ve never seen one in a laundry room before. Did you have it installed? If so, why? Please show more of your room – hard to get the feeling from these tight shots. Love the fabric. Thx! Ha, sadly that is the whole room! It’s TINY! But, you can see more angles with the sink in the previous post about it (linked in the post, or right here https://theinspiredroom.net/2014/07/14/laundry-room-progress-updates/). This post is just a little progress report but as I promised, I’ll share ALL the details, angles and photos in a complete makeover post once it’s all ready to show the more finished room, likely in January. But I will be sure to share more details on the shade and the fabric tomorrow. :-) Thanks! That is a breathe of fresh air! So nice…to see a small space look awesome…goes to show you big doesn’t always mean better. Thanks for sharing. I would love to know where the baskets are from. I love the whole feel of the room! 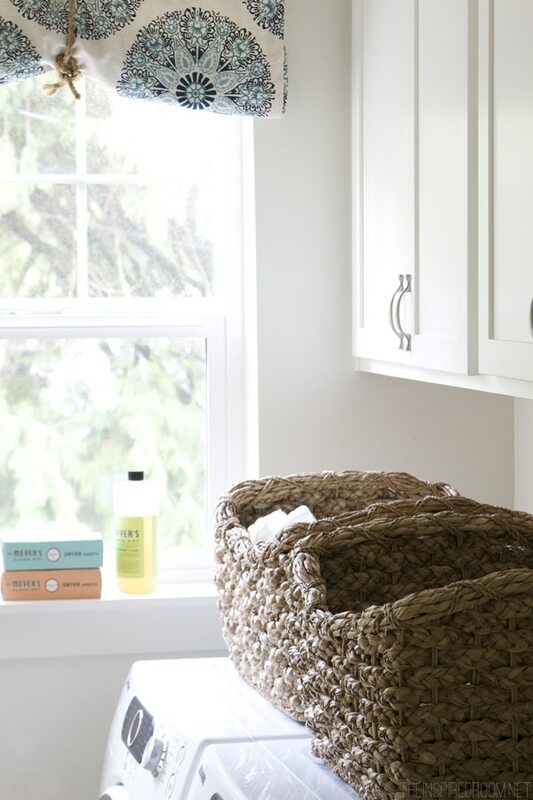 My laundry room doesn’t have any storage, so those baskets would be perfect. It’s so important that all of the spaces in our homes feel beautiful and warm. I have a laundry closet, which I am trying to make organized and functional. I like the green lamp. Nice fabrics on the window.